There is a conspicuous feeling all around us right now, and it’s not related to the cicadas, nor to the freaky gas prices, nor to the hell-like temperatures with it’s accompanying lightheadedness. Kids up and down the street and all over the town are being shuttled by their parents to stores for that annual nightmare called BACK TO SCHOOL SHOPPING! School supplies, school clothes (new clothes, socks, shoes and underwear that will get the kids off on a fresh start into their new year), school lunch boxes, sleek folders, markers for the teacher, perforated notebooks, crayons for the classroom, bottles of Elmers, packs of unsharpened pencils, construction paper for the classroom shelves, boxes of Kleenex, colored markers, loose leaf paper, tape, three-ring notebooks, binders, pencil boxes, fun-shaped erasers, stickers, scissors, and paper towels for the teacher. Parents are wandering the aisles carrying the lists from their school districts that tell them what they need to buy, right down to the type of paper towels or Germ-X the teacher appreciates. I'm thrilled that I don’t have to tote that list around and cross off items as they are found and plunked into the cart. And I also don't have to feel angry that my school district cannot 'afford' basic supplies for the classroom. I'm not feeling rushed. I'm not feeling a strain on the checkbook. The kids are not trying to adjust their sleep schedule to better fit the 7 a.m. craziness that would ensue if we had to get out of the house at 7:30 to make it to the school building on time. OH, that obnoxious morning night mare is NOT FUN! We don’t pack lunches, look for missing school work, try to match shoes, go on hunts for umbrellas, gloves, backpacks, socks, clean jeans, phone numbers, lunch money, watch for the bus, run back in to brush teeth, try to get food into nervous, upset, and/or rushed stomachs, rush out into unpleasant weather, make sure our children have a key to the house, knowledge of after school plans, or forget that hair wasn’t brushed before leaving the house. We don’t have those heinous fund-raising activities that come with the beginning of the year, PTA expectations, permission slips to sign, drives to and from the school, administrative politics, district issues, calls from the school nurse, or passwords for online classroom resources. And I don’t have that sense that summer is over too quickly and I’m about to lose my kids again, putting them into complete control of the local school and it’s environs. IN TWO WEEKS! NO! Instead, all of that energy is focuses on the kids! Time is spent with one another. And lessons are always in the house, right where they will be needed. We are excited about school starting this year. There are innumerable benefits to homeschooling, some of which are quite obvious, more of which are subtle and satisfying. 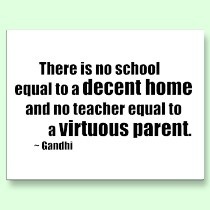 This time of year, the reasons I love homeschooling begin with the obvious: not going to school! I found a link to an EXCELLENT link. At TAM, The Amazing Meeting, this year in Las Vegas, Michael Blanford put on a talk about skepticism in the classroom. I've been listening to it as I have the time and I love it. Too little, too late? NEVER! The odd thing isn't the baby name, it's that the state of New Zealand is thinking that they need to approve the name! Is there NOTHING better to worry about? I've been wanting to post a longer version of my previous book list. A friend recently posted this extensive list and so, THANKS RAYVEN, I'm copy/pasting her list here now. I have added a few titles myself, those in red and a few links in blue. These are just some of the items I have come across, I’m sure as the free-thought community continues to grow we will have the pleasure of more materials to aid us in our parenting. Never underestimate the power of a library card either. Lining your local library are books by Thomas Paine, Isaac Asimov, George Orwell, and Ayn Rand just to name a few, all of which offer older children a wealth of knowledge and plenty of ideas to mull over and consider. Maybe Yes, Maybe No by Dan Barker — my oldest has read this a few times on his own accord and loves it. It is very easy to read and promotes seeking out honest, truthful answers. The next four books are graphic novels and I would recommend the last one by Mark Schultz for older children — about 10 and up-depending on the child’s interest — due to the heavy science content which younger children may find a bit long, boring and difficult to digest. Here Comes Science by They Might Be Giants CD/DVD combo — we absolutely love this CD/DVD combo. Their song Science is Real features the following lyrics: “I like the stories about angles, unicorns, and elves-Now I like the stories as much as anybody else-But when I’m seeking knowledge-Either simple or abstract-The facts are with science-The facts are with science” I can’t think of better lyrics to jam to on a lazy Saturday afternoon and the children love it! 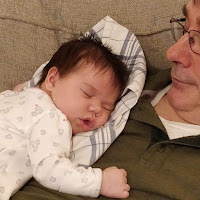 The Meming of Life — Dale McGowan, the man behind Parenting Beyond Belief and Raising Freethinkers, writes this blog. 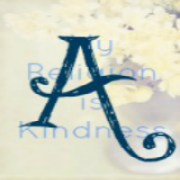 If you check his “links” section you will discover a long list of useful books, CDs, and DVDs to help in raising a happy freethinker. 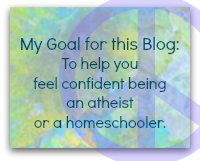 Homeschooling Freethinkers — is a great website for those who are using “alternative” education. This is the route our family has taken and Homeschooling Freethinkers is the first site I check whenever I’m looking into new materials. 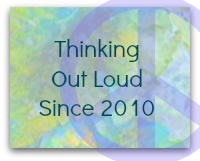 There is also a Facebook group for freethinking homeschoolers. Charles’ Playhouse — they sale quality evolution products, including an amazing play-mat timeline and clever apparel for all ages. The Greater Good Podcast — Both Happiness Matters and The Greater Good podcasts are run by The Greater Good Science Center. I was enjoying it and thought to pass it along! and I think that the same is true of human beings. and so are solidified and perfected. As for "introvertedly extroverted people" (IEP, as I have created for this blog piece), there's not much out there. As least not using these very professional sounding words...LOL. I can't be different. I don't want to be different. But, there it is. I'm an introverted extrovert. IEP. I am totally capable of standing in front of a large group and talking for an hour. But get me in front of an intimate group, I can't stand up and stand out for anything! I found a webpage on this little label and it was interesting, but not very enlightening. I found it a bit false and psychobabbly. In general, I find that a person who is "introvertedly extrovert" is more likely to be out of the spotlight while still being very involved in activities. Center stage is for the extrovert who needs the acclaim. The IEP doesn't need attention and is, frequently, uncomfortable with the attention. They do, however, have much to offer and are often considered a go-to person for information or guidance. An IEP might be a person who is often overlooked. An IEP can be seen as being too nice, too accommodating, too helpful. These perfectly natural traits are usually mistaken for weaknesses; the person who perceives an IEP as weak is in the wrong entirely! Being a person who is in touch with the feelings of others makes an IEP a person with an interesting group of friends. Friends who will stand up for the IEP when necessary, as the IEP will, often, not stand up for themselves. On the other hand, being a total Intro-Extro, I have a difficult time with whirlwind activity. Crowds and loud parties and chaotic events all put me off and tire me out. I would rather hang with a few close friends, usually as the central talker! LOL I am definitely "on" in small, intimate groups. 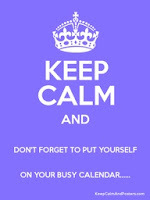 If you are an IEP who is dealing with self-esteem issues, fear not. Your personality traits may be misunderstood, but after you accept that you are who you are, you can embrace those unique traits and become the best YOU ever! An IEP wants to understand clearly and concisely and wishes to be understood that way as well. An IEP has difficult working on a team that stresses competition and status. 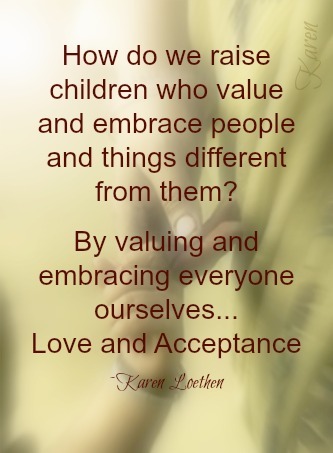 An IEP pursues integrity above many other traits. An IEP manages to understand the needs of those around them and finds ways to incorporate meeting those needs into the time available. People often seek out the IEP when needing an ear and a shoulder. The IEP often has difficulty finding an ear and a shoulder that doesn't offer advice or judgment. An IEP feels the need to express honestly and completely and is often unsure about the TMI line. When around a very extroverted person, the IEP is perfectly capable of maintaining a good sense of self and allow the other person to stand out. The IEP is often in a small group off to the side creating solutions and plans rather than enjoying the show. When stressed, the IEP is likely to seek alone time first, think things through, then seek out a trusted companion to bounce feelings off of. When self-esteem is an issue, the IEP could benefit from journaling positive self talk statements. IEPs derive a significant amount of self esteem from interactions with others and when their creativity is allowed to blossom. 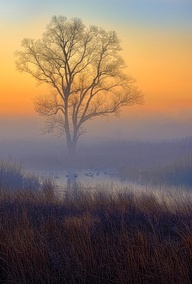 IEPs sometimes isolate when feeling down. Interacting with others can help tremendously. An IEP may have an easy time finding positive qualities of others, but difficult time finding positive qualities of self. Keep a journal of positive "self' statements and invite trusted others to write positive statements. IEPs are willing to champion causes that mean a great deal to them. IEPs have a difficult time having relationships with very rigid or judging people. And IEPs are often considered very confident, kind, interesting, intelligent people and are often singled out for awards or for job promotions. As an IEP, I have always had a very easy time finding a new job and succeeding in that job. Of course, there are no promises, but IEPs have some great qualities! My biggest problem is with self-esteem at times. Mostly I am fine. But when I start to dive, it can take time for me to return to my usual level of functioning. Happily, that's not happened for awhile! Time is just RUSHING by during these busy months of summer. Our calendar is as hot at the summer here in St. Louis. And that's HOT! St. Louis is under heat warnings constantly and we're constantly having to go go go out into it. But we are all healthy, happy, and busy. So, although the news lately has been terrible with the horrifying Norwegian nut massacring students for his religious and political beliefs to Afghan news day to day, I find that my family is doing great. And I'm grateful. So grateful, in fact, that I have decided to post the top ten things for which I am feeling thankful. The continued health of my family. The fact that we are financially solvent and stable in these difficult times. That we have friends who are pretty freaking amazing. That Elizabeth and I seem to be on the same page (for once) where her high schooling lessons are concerned. That Jerry and I have a relationship of trust and openness and FUN. That we have enough that we can offer assistance to others. That's it. We are healthy, we have plenty, we are together. 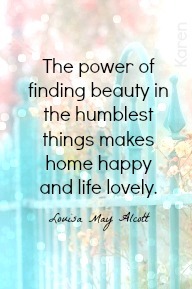 And, if they are, add a few gratitude statements of your own! The Gabbeh, Iranian, "The Rug"
Kuch Naa Kahoo, Indian, "Say No More"
Zwartboek, German, "The Black Book"
Il Postino, Italign, "The Postman"
So, these are a few of my favorites. The reason I am too sedentary. These days, we're all walking and riding more! My daughter and I have been working hard at creating a plan for her first year in high school. Yes, she is now a FRESHMAN! She might have taken on more than she can handle. On the other hand, she's been working hard on THEATER this summer and will have earned at least half of the requirements for that course by the end of August. We sat down together to figure out which courses she would pursue and how she would pursue them. We have come up with many interesting activities and with much cool work to fulfill requirements for each course. My daughter tends to prefer work that she can do with me. But she reads and writes very well independently. One of the first things we have been covering is good study skills, researching skills, and keeping focus when the going gets rough. Her problem isn't that she can't learn. It's that she doesn't want to learn. Keeping her focused and motivated is the REAL challenge. I know that she remains motivated when I stay involved. We are also instigating limits on all screen devices and all electronic devices. This will not be met with happiness and joy joy, but it is a necessary step towards getting good study habits back. I do intend to remain her partner in the learning process. Why not? It's a blast! BLOG NOTE: This piece gets more hits than any other blog post on my blog. 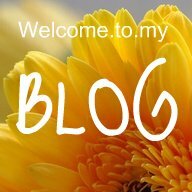 I admit that I seldom spend any time reading the blogs of others. Certain SPECIAL people and friends only. I don't know, blogs tend to be too much like this one: narcissistic, rambling, and more like stream-of-conscious therapy. 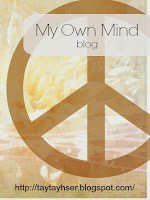 But today I went looking at blogs. 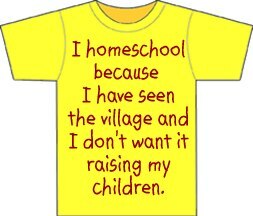 I was looking for an example of a seriously angry anti-homeschooling person. And I found them! I really just wanted a little fun and to mock them a bit. Is that so bad? I decided that, for fun, I would simply respond to each criticism point-by-point. Just for fun. Anyway, my snark aside, here are her "top ten reasons" why she is against what she calls "homeschooling: great for self-aggrandizing, society-phobic mother...but not quite so good for the kid." HER WORDS are in Blue. MY WORDS are in Red. Please check the links in BOLD. Separate bolded words are separate links. 10. “You were totally home schooled” is an insult college kids use when mocking the geeky kid in the dorm (whether or not the offender was home schooled or not). And… say what you will… but it doesn’t feel nice to be considered an outsider, a natural outcropping of being homeschooled. There is this part of me what wants to be VERY snarky about obnoxious near-adults still teasing (aka "bullying") "geeky" kids while in an institution of higher learning, such as college. However, I will rise above that. Is she saying that homeschooling has a certain connotation to uninformed individuals and a homeschooled student risks facing immature behavior that we typically associate with elementary school bullies? Yes, wow, that is a problem. On the other hand, Many selective colleges welcome homeschooled perspective students with alacrity. Some reports suggest that the traditional brick-and-mortar university is beginning to change to nontraditional higher education studies. And the HSLDA studies indicate significant success by homeschool students in the college milieu. Homeschool students tend to score higher on ACT tests and, while in school, tend to have higher GPA and earn more credit during their freshman year than the traditionally-schooled student. Some important people actually believe that "traditional school" is dying. 9. Call me old-fashioned, but a students’ classroom shouldn’t also be where they eat Fruit Loops and meat loaf (not at the same time I hope). It also shouldn’t be where the family gathers to watch American Idol or to play Wii. Students–from little ones to teens–deserve a learning-focused place to study. In modern society, we call them schools. Sweetie, you're not "old-fashioned", you simply have a closed mind. How can it possibly matter whether a meal was served on the same table that the math book is now sitting on? The same table that the dominoes were on last night. The same table that the kids used to play underneath for a fort. The same table that my mom gave me. And, when the books are out, that table IS a learning-focused place to study. Just to be clear, though, we also have a dedicated homeschool room with a lesson table, maps, books, etc. The kids far prefer lessons in alternative locations though! 8. Homeschooling is selfish. According to this article in USA Today, students who get homeschooled are increasingly from wealthy and well-educated families. To take these (I’m assuming) high achieving students out of our schools is a disservice to our less fortunate public school kids. Poorer students with less literate parents are more reliant on peer support and motivation, and they greatly benefit from the focus and commitment of their richer and higher achieving classmates. Is this author suggesting that I should keep my children in under-staffed, under-financed, ailing schools? This USA Today article, cited by the author goes on to state that the children often removed from public schools by their parents do so due to instances of "mean" children in the schools, situations that schools are traditionally unable to handle. Is this author truly suggesting that my children should be in a public school in order to benefit the less-fortunate. Is that their job, to provide a successful educational experience for the other children in the class? Odd. In the meantime, the National Center for Education Statistics reports that the vast majority of people who choose to homeschool do it in direct response to concerns about the environment of the public school. Additionally, the HSLDA asserts high instances of homeschoolers outperforming their public school peers. If you COULD provide a better educational opportunity for your child, wouldn't you? Further, the St. Augustine.com, news page for the St. Augustine Times in Florida report, "Another benefit is to the taxpayers, as home schooling currently saves about six million dollars to the county." I have no idea where this stat came from. I like it, but I can't find the reference for it. Also, as a public school alumni, I don't remember a single "higher achieving" student helping ME out as a kid..? LOL, "personally I'm agnostic, but I'm just saying". The cited USA Today article, (Can USA Today really be considered a primary source in most upper-level writing?) more and more families are claiming "social reasons" as the number one reason why they choose to homeschool their children. 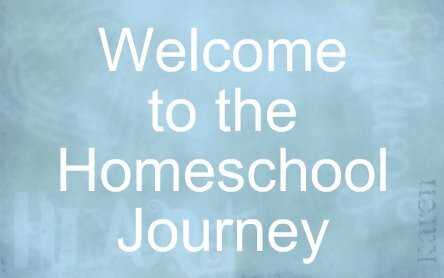 Again, the National Center for Education Statistics tells us that thirty percent of families who choose to homeschool do it with fervent belief that their spiritual needs will be better met outside of the public school setting. Who the heck is this author to suggest that she knows more about her god's mind than anyone else claims to know? Certainly she had intended to write "you think you can teach English as well as I?" Anyway, on to the non-snark. I do NOT suggest that I, as a homeschooling parent, knows EVERYTHING. I don't intend to teach EVERYTHING to my child. What this author does not know (and can not know in her present frame of mind) is that homeschooling is far more about learning to learn than it is about spoon feeding bits of knowledge. Homeschooling families have a major goal as that of Autonomous Learning. Autonomous education helps a person to develop their self-consciousness, vision, critical thinking, research skills, practicality, and freedom of discussion. These attributes serve to aid an individual, in this case, my children, in his or her independent learning. As for the condemnation of lunatic arrogance, I do admit to being confident. I am a well-educated person, as is my husband. We are prepared to find out more, to continue to educate ourselves, and to correct ourselves when we are off-path. Arrogance suggests that we already know everything. Even these schools would have to admit that they don't know everything. On the other hand, as a homeschooling parent, I have already expressed my true admiration for the good teachers of the world. The woman who authored this anti-homeschooling drivel is young. She has much to learn; I have no doubt she will learn it. Overall, her writing suggests a defensiveness that tends to suggest insecurity in her own field. She will learn. I remember being this arrogant when I was young too. 4. Homeschooling could breed intolerance, and maybe even racism. Unless the student is being homeschooled at the MTV Real World house, there’s probably only one race/sexuality/background in the room. How can a young person learn to appreciate other cultures if he or she doesn’t live among them? Oh dear! She did not. I just googled "racism in school" and got over seventeen MILLION hits. But just in case that ISN'T enough for you, Dear Reader, here is an article from education.com, the self-proclaimed go-to website for all things related to school news. This article frighteningly reports case after case in the legal system of serious and injurious cases of racism and bullying in schools across the country. Sadly, this article from the BBC reports a rise in bullying in the school systems in our country, in spite of anti-bullying campaigns. 3. And don’t give me this “they still participate in activities with public school kids” garbage. Socialization in our grand multi-cultural experiment we call America is a process that takes more than an hour a day, a few times a week. Homeschooling, undoubtedly, leaves the child unprepared socially. Well, she got it right here. Socialization IS this "grand multi-cultural experiment we call America". And THAT'S where we, as homeschoolers ARE. It certainly DOES take more than an hour a day. That is why, sadly, public schooling can leave children socially unprepared for "real life". Homeschoolers, after their three or four hours in lessons, are left with lots of time to actively volunteer and participate in the wonderful cultural activities of their hometowns, state, and nation. Codicil to previous statement that homeschooling parents are, in fact, confident rather than arrogant: Not one parent has ever started homeschooling without reading, studying, learning, preparing, and becoming the best homeschooling parents possible. These are OUR CHILDREN. If homeschool didn't work, we wouldn't do it. Each year I grow more secure, more confident that this works. Why? Because I'm so sure I am right? NO! Because the proof is sitting in front of me...at the table with the meatloaf. 1. And finally… have you met someone homeschooled? Not to hate, but they do tend to be pretty geeky***. *** Please see the comments for thoughts on the word ‘geeky.’ But, in general, to be geeky connotes a certain inability to integrate and communicate in diverse social situations. Which, I would argue, is a likely result of being educated in an environment without peers. It’s hard to get by in such a diverse world as ours! And the more people you can hang out with the more likely you are to succeed, both in work life and real life. There is no doubt that this author will come to retract these egregiously unkind and bullying words as she learns more about the institution to which she has just committed her life. Did she really call my kids "geeks"? This website reports of several old studies of homeschoolers and socialization. The overall findings of the studies were paraphrased by the author: The social skills of the homeschooled child will usually be superior to the social skills of the the privately or publicly schooled child. Say good-by to the myths about homeschooling and socialization! Here is a newer site with lots of great information on schooling outside of the "norm". She might be a BIT biased. Here are a few current studies to put this dang SOCIALIZATION question to bed. Though I have some MAJOR concerns about public school and socialization. 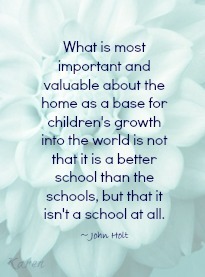 And I can state here, unequivocally, socialization is one of the major reasons why we started homeschooling! And it's still a good reason! What criticisms really "get your goat"? 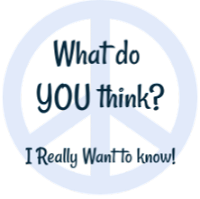 What do YOU really think about homeschooling? A post on another blog was written in response to this one and I know you will love it. 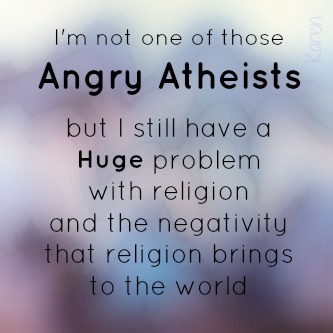 I know the people out there who are the "Angry Atheists". I do not count myself among them and, further, I resent their verbosity in many forums. Their fury and antagonism, while I see their angle, and do not disagree, I find it objectionable that many messages from these fuming folks have no way to discuss their points of view without disparaging and disdaining that which rings true for others. I'm not talking about the confident and vociferous atheist; these I admire! I sometimes wish I had that fervor. Especially when I witness ludicrous and insistent statements, pronouncements, or events that are so blatantly of malicious intent. 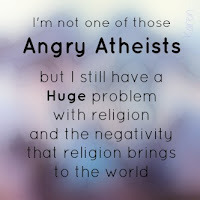 I am a very proud atheist. I would describe myself as very loving, open, intelligent, and kind. I have absolutely no desire to debate you. If your beliefs are dearly-held, fine for you. Mine are clearly- and dearly-held as well. There is no part in me that wishes to kill your value system simply because it is different from mine. I DO believe that religion, the power and control thereof, is uniquely poised to create many schisms between groups and I can see that history has proven this divisiveness to be lethal in the extreme. In most people's heart, however, it is well-meaning. Saying this is very difficult. 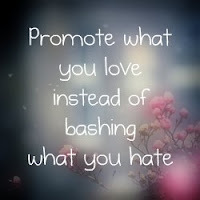 I am weighing each word I use because my family and I have also experienced many instances of hatred, judging, and painful negativity from the very realm that I am sitting here defending. In my deepest heart, I wish religion truly would do that which it claims to do. Create peace and kindness and loving people. In the meantime, I appreciate that there are people who truly believe that it does and who embrace their faith with good hearts. and if not, to hell with you. This is nonconstructive. It does not get our message across. It condemns us to permanent minority status." - Carl Sagan, "The Demon-Haunted World: Science as a Candle in the Dark"